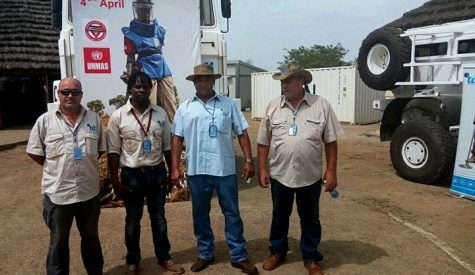 4th of April is the International Mine Awareness and Assistance in Mine Action Day. 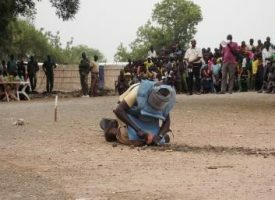 In recognition of this auspicious occasion, a number of events took place around the world to celebrate the work being done by various entities to rid the world of landmines and ERW (Explosive Remnants of War). 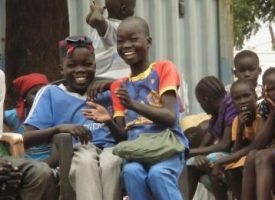 TDI participated in some of the theatres where we currently operate, namely South Sudan, Democratic Republic of the Congo and Central African Republic. These are some highlights of the day, in pictures. 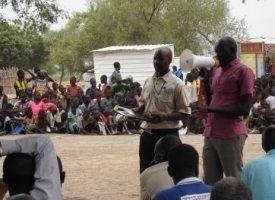 TDI coordinated, planned and prepared a successful International Mine Awareness Day in the town of Koch in Koch County, South Sudan. 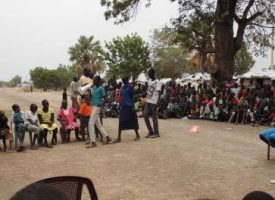 The day featured plays from the local school children on what to do if Unexploded Ordnance (UXO) is found and a TDI Community Liaison Officer (CLO) elaborated by delivering Risk Education (RE) on how to avoid these dangers. 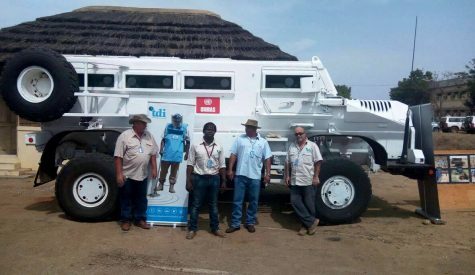 This was to bolster and support the operations and communities at risk as TDI are already conducting route clearance and Mine Risk Education (MRE) in the area. TDI also took the opportunity to deliver operational demonstrations. 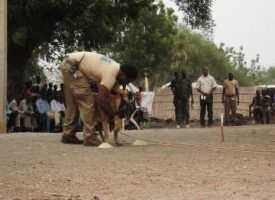 A full clearance was presented using a Mine Detection Dog (MDD) and a deminer to identify and clear a suspected explosive threat. 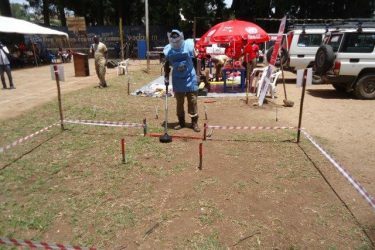 The MDD gave a positive indication of the threat and the deminer then excavated the threat, an emplaced sample with explosive particles, and showed it to local school children as part of their Risk Education. 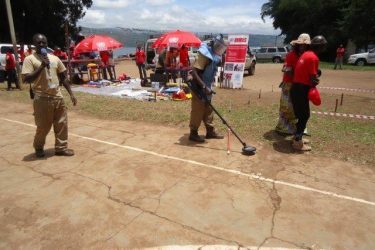 TDI Multi-Task Teams performed a demining and casevac exercise demo to the public in Bukavu at an event organised by UNMAS. 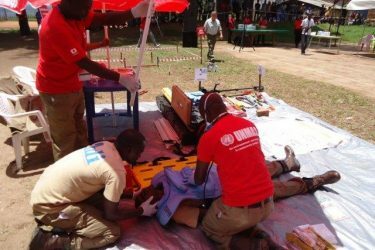 The team displayed kit and equipment used by personnel to both assist and protect them from accidents in the field. 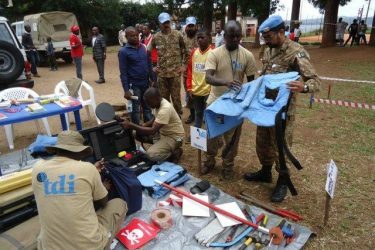 This display was to raise awareness of both the activities performed by UNMAS and TDI in the region and to sensitize the public to the inherent danger these explosive threats pose to their lives. 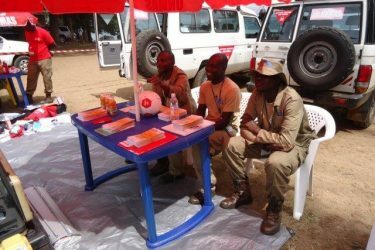 In Central African Republic, the commemoration of the day was moved to 7th of April. 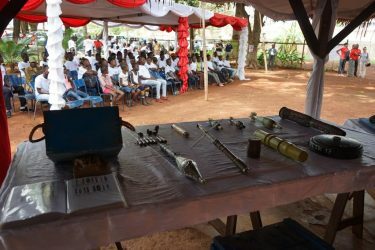 TDI participated in a prepared event to highlight the dangers of Unexploded Ordnance (UXO) and methods to mitigate their risk. 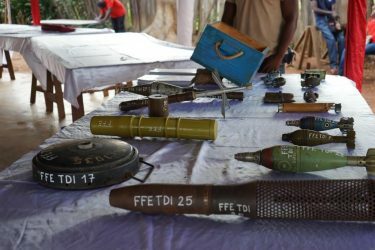 This included a presentation of ordnance free from explosives (FFE), Battle Area Clearance activites and a display of TDI’s demining assets. 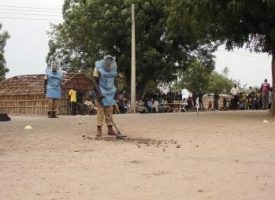 A dynamic demonstration of a “Call Out” procedure was also part of the exhibit citing an example of a hand grenade discovered by a member of the local population. 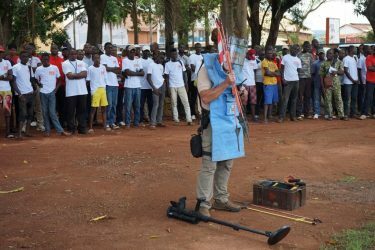 TDI is very proud to raise awareness of the threat that is posed by Explosive Remnants of War (ERW) to civilians, innocent bystanders and curious children after a conflict has ended. We are also glad of the opportunity to demonstrate the work we do to mitigate this. 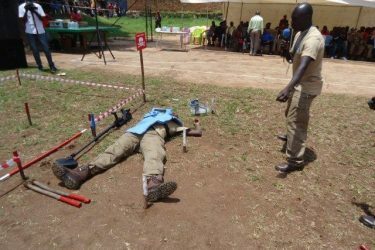 International Mine Awareness and Assistance in Mine Action Day is a very important occasion to promote understanding and consciousness of these threats and the measures being taken by various stakeholders to control and prevent them.